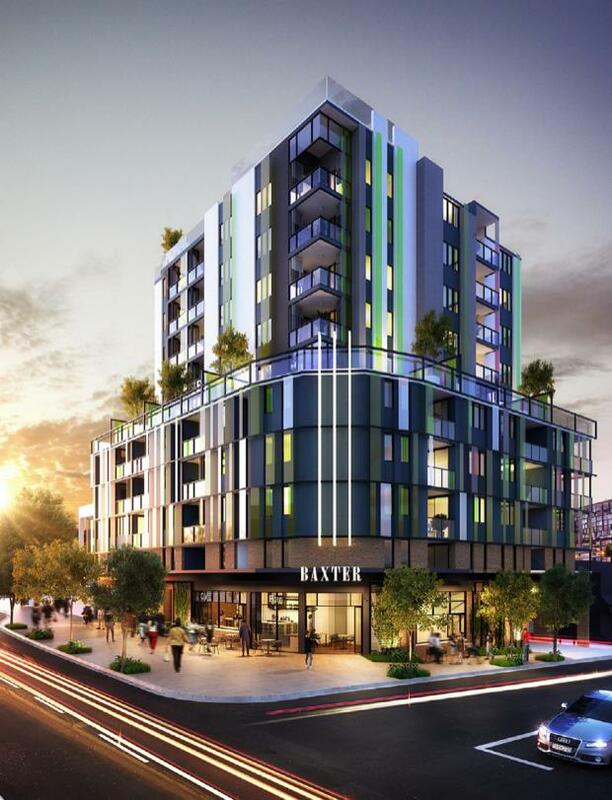 Forrester Properties' Baxter St Apartments has commenced construction, presenting an opportunity for buyers to step into the tightly held Fortitude Valley market, which is primed for growth over the coming years. Baxter St Apartments is a boutique community with just 56 units spread across 10 levels. Its ground floor includes a new cafe and wine bar, deli and convenience store and private dining room, adding to the growing list of valley hotspots. 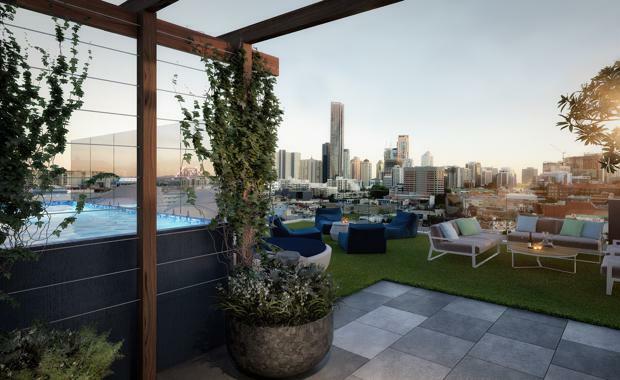 Baxter St Apartments Development Manager Scott Forrester says the development is taking shape at a time when purchasers are increasingly aware of the importance of choosing a property in the right location. "Fortitude Valley is in high demand because it is the gateway to Brisbane's best new entertainment and lifestyle precincts," he said. "We believe it is one of the most liveable suburbs in Brisbane offering a premium lifestyle in a convenient and highly accessible location. "Baxter St Apartments has a Walk Score of 98 out of 100, which means most major amenities can be reached without a car. It also has a transit score of 100 out of 100, so world-class public transport is at the doorstep, allowing for a quick commute to the CBD, South Bank and other city destinations. "Forrester Properties Director Tom Forrester said the apartments have been created with end users in mind. 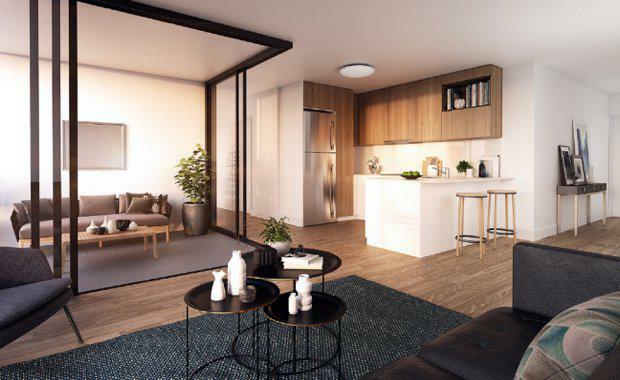 "Every apartment boasts sought-after inclusions such as European appliances and high speed internet and they have been designed to maximise natural light and ventilation," he said. "We have a mix of two bedroom apartments with one or two bathrooms remaining, which are larger than the majority of other apartments on the market, offering up to 88 square metres of living space. "This living and entertaining space is extended by a feature-packed 320 square metre rooftop terrace, which has all of the lifestyle amenities you would expect to find in a much larger development, including a rooftop pool, community herb garden, outdoor lounge, sun deck, BBQ and entertaining area and bike storage for each apartment. "The building will have a high tech valet-style parking service in the form of two car lifts, designed to deliver residents to their designated car space as quickly and safely as possible. "Once completed, Forrester Properties will retain the management rights to Baxter St through its Property Management division, so residents and investors can enjoy the convenience of on site assistance when required and have confidence their property is in experienced and capable hands," Mr Forrester said. Baxter St Apartments is located at the corner of St Pauls Terrace and Baxter Street. The development is expected to be complete by the end of 2017.